Each month since February DA Buzzing has had a Secret Word Game. It all started when I caught a television story about the life of Groucho Marx. Groucho hosted You Bet Your Life, a quiz show originally broadcast on radio beginning in 1947, then airing on television from 1950 to 1961. On the program, a secret word was revealed to the audience before the contestants entered. As Groucho chatted with the contestants, viewers listened intently for one of them to say the Secret Word. If a lucky contestant said the word, a paper-mâché duck would drop down with $100 cash. robin711 is giving away VIP Prizes. For the month of October DA Buzzing has something better than cash! Our own Honeybee robin711 has kindly donated items from last summer’s I Love All Access VIP package. Play the Secret Word Game this month and you might win these great prizes. All you have to do is be the first to write the Secret Word in a post or comment. 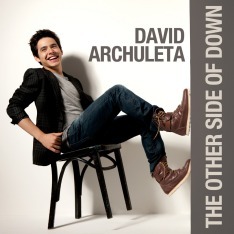 *The autographed picture of David has the autograph printed on the picture. It is not hand signed. The Secret Word Game for October starts today. I will post a new clue each week until someone wins. Be sure to check for clues throughout the month. When we have a winner, you will see an announcement in the right sidebar. Here is the first hint.